This drink mixes honey and vinegar for a slightly sweet and tart drink. 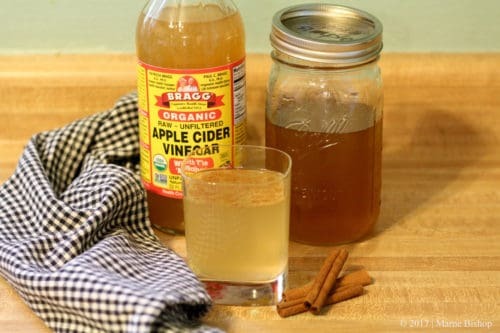 Apple cider vinegar has myriad uses including helping regulate blood sugar and increase satiety. Mix all ingredients in a pitcher or large Mason jar. Leave cinnamon sticks in the pitcher or jar to add a cinnamon flavor. Pour into a cup and enjoy with ice or on its own. Keeps in refrigerator for about two weeks. I enjoy drinking this hot, is that ok for people with SIBO? How much is the reccommended cups per day of the drink. Hi Dona! Yes, you can drink it warm as long as it doesn’t cause any symptoms for you. Try one cup with or right before your meal and see if you tolerate it.